Step from the plane at London Gatwick almost straight into the chic atrium of Sofitel London Gatwick a 4-star hotel directly connected to the North Terminal. 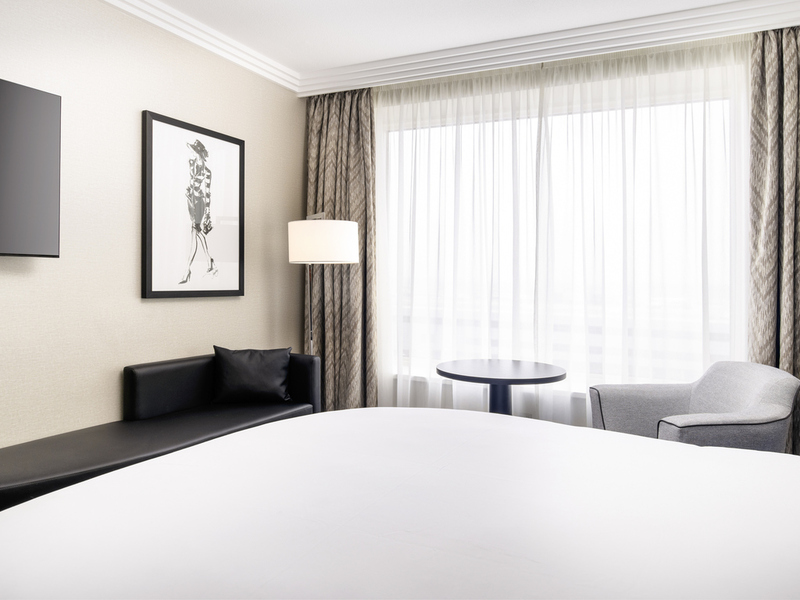 Find a haven of peace in 518 contemporary rooms and suites with a luxurious MyBed to guarantee a cozy night's rest. 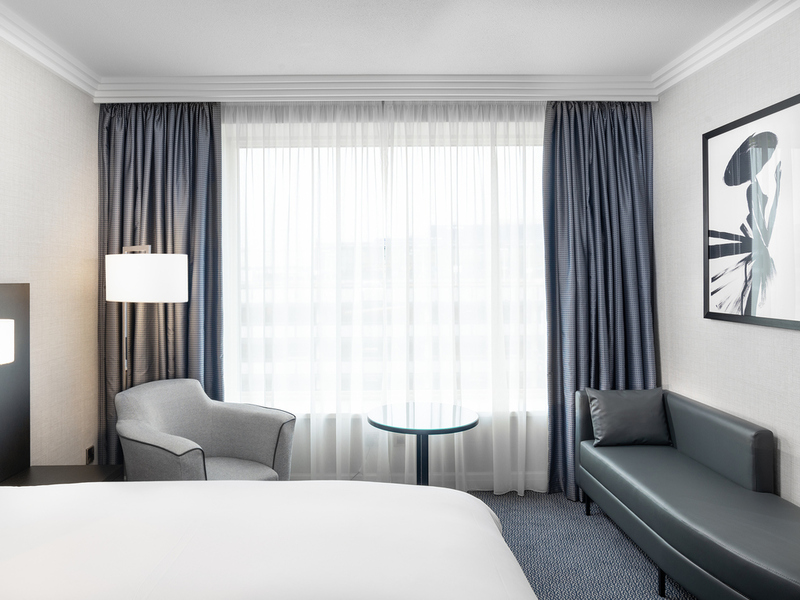 Complimentary internet, gym access, 24hr room service, business centre and concierge service. My team and I are ready to welcome you to Sofitel London Gatwick where creating memories for our guest is our passion. Life is Magnifique in London..
Each Sofitel is a unique blend of the French art de vivre and local refinement. 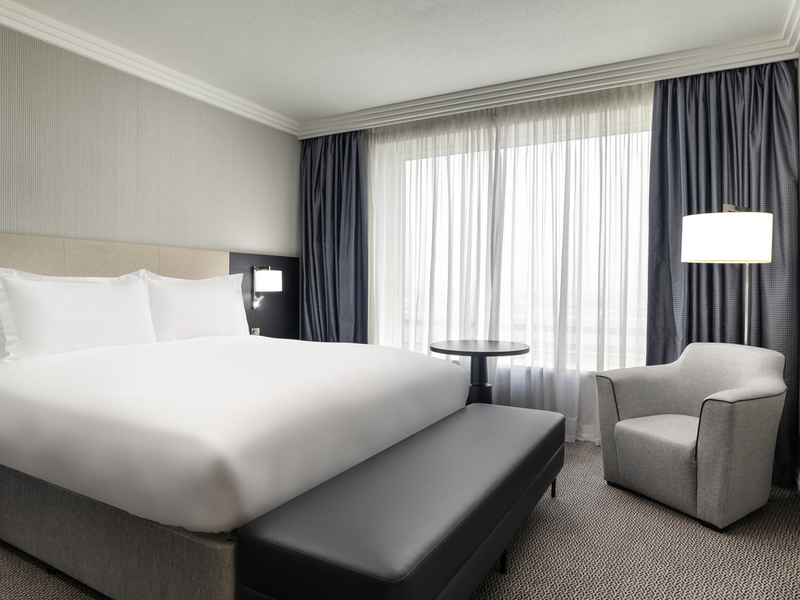 Conveniently linked to Gatwick's North Terminal, Sofitel London Gatwick offers upscale accommodations and fine dining in the spirit of Your Holiday Starts Here. The soaring atrium and modern aesthetics invite you to enter. Surrounding the expansive and airy central space are cosy spots like Le Ciel, a perfect place to sink into a plush lounge chair for a pre-trip rendezvous with cocktails and conversation. To indulge in French-infused British cuisine, settle into a soft high-backed chair at the elegant yet relaxed La Brasserie. Seasonal and locally sourced fare are hallmarks of this two AA Rosette restaurant. Spoil yourself with the hotel's other choices of fine dining. Indulge in exotic drinks at Le Ciel or a nightcap at La Terrasse Bar. With décor that echoes a Parisian bistro, Urban Café offers light bites in the spirit of joie de vivre. 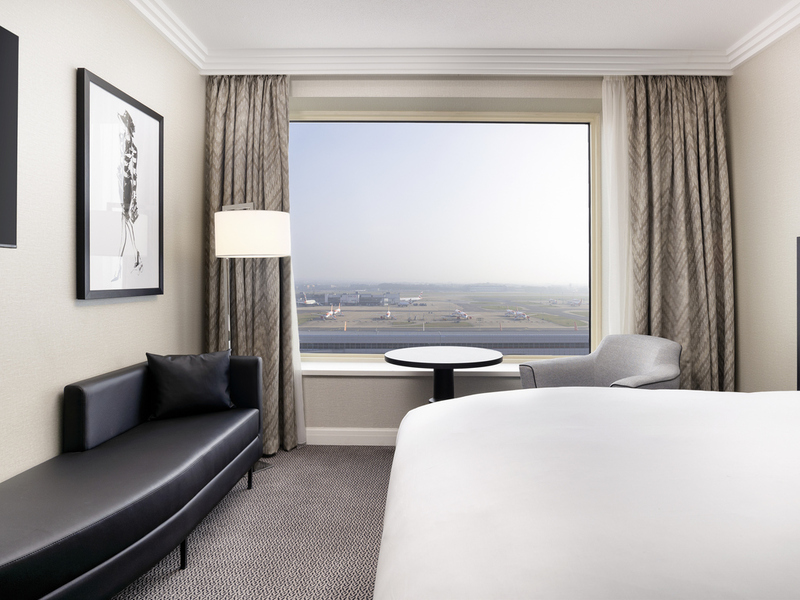 Sofitel London Gatwick is the only hotel adjacent to Gatwick Airport North Terminal in Crawley, West Sussex. It is two minutes from Gatwick South Terminal by free monorail. You are 30 minutes from central London via the Gatwick Express train. From Gatwick North Terminal, follow the walkway directly to the hotel. From South Terminal, a free monorail takes two minutes. The Gatwick Express from London Victoria station takes 30 minutes. By car from London or Crawley, take exit 9 off the M23. 23 m² Room, Free Basic Internet, Flat-screen TV, Bathroom with shower over bath, ESPA amenities, 1 Extra Bed possible for a child under 12 years and interconnecting rooms available on request. 23 m² Room, Free Basic Internet, Flat-screen TV, Bathroom with shower over bath, ESPA amenities, interconnecting rooms available on request. 23 m² Room, Free Unlimited Internet, Flat-screen TV, Bathroom with shower over bath, ESPA amenities, still and sparkling water, 10% saving on all food and beverage, 1 Extra Bed possible for a child under 12 years on request. 23 m² Room, Free Unlimited Internet, Flat-screen TV, Bathroom with shower over bath, ESPA amenities, still and sparkling water, 10% saving on all food and beverage, interconnecting rooms available on request. 23 m² Room, Free Unlimited Internet, Bathroom with shower over bath, Hermes amenities and Mini Bar. Located on 8th Floor with access to Club Millesime Lounge overlooking the Runway offering continental breakfast, drinks and canapés. 36 m² Room, Free Unlimited Internet, Flat-screen TV, Bathroom with shower over bath, ESPA amenities, 1 extra bed possible for a child under 12 years on request. 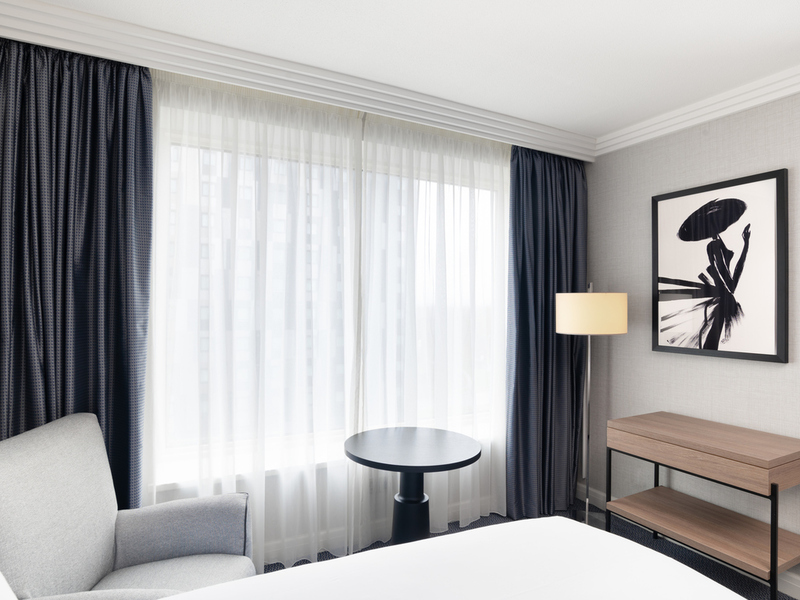 52 m² Room, Free Unlimited Internet, Flat-screen TV, Bathroom with shower over bath, Hermes amenities, Mini Bar, Access to Club Millesime Lounge located on 8th floor overlooking the Runway, offering continental breakfast, drinks and Canapés. Located on the eighth floor Sofitel Club Lounge offers an intimate space for those staying in Luxury Club rooms and Prestige Suites. The Lounge is open 24/7 with complimentary tea, coffee and soft drinks along with breakfast and evening canapés. Set around the central atrium just off Gatwicks North Terminal exit. Our three luxury Gatwick hotel restaurants offer full English breakfasts, award-winning French fine dining, a table d'hote menu in a casual Parisian-style cafe and Oriental specialties. From street-style La Terrasse Bar overlooking the atrium to Le Ciel on the first floor, our hotel bars in Gatwick reflect the joie de vivre of a lively Paris night. Enjoy a moment of leisure at the end of a long day with cocktails and light bites. 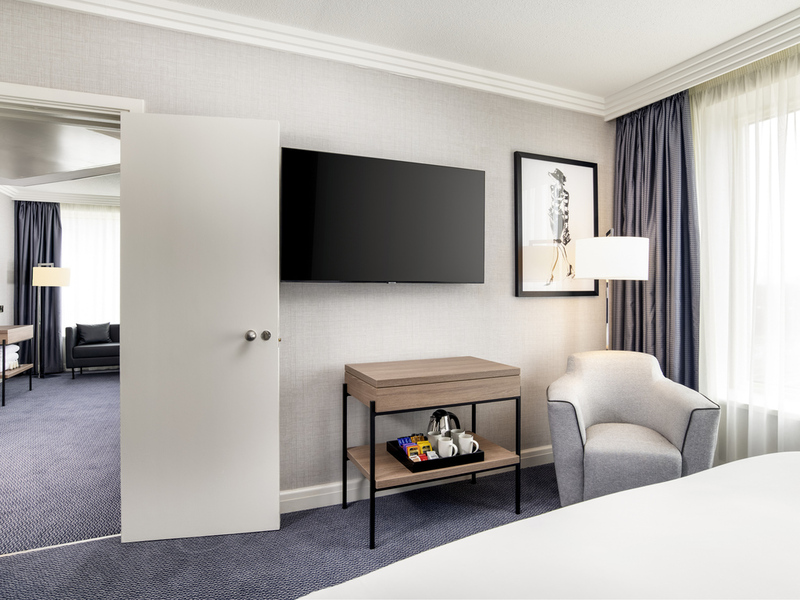 Sofitel London Gatwick is an exceptional meeting and conference venue near London with easy access for local and international business travelers. InspiredMeetings planners help you arrange conferences and events at London Gatwick for up to 300 people. Delegates and business guests can step off the plane or train at Gatwick check in at the welcome desk and find one of eleven inspired meeting rooms spread over two floors. The hotel boasts plenty of accommodation and parking. Wi-Fi cutting-edge audiovisual equipment and a business center are standard. Coffee breaks business lunches in La Brasseries private dining salon or perhaps a cocktail party at Kua Bar turn your Gatwick meeting into a special event. 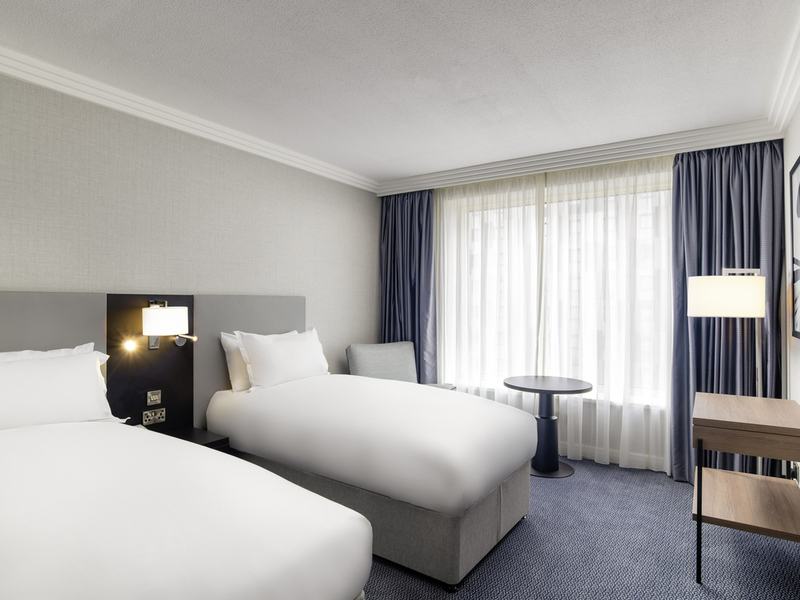 Find everything an international traveler needs at this Gatwick airport hotel including WiFi, private and valet parking, Park and Fly packages, 24-hour room service and a business center. A concierge takes pride in helping you with all your travel needs. 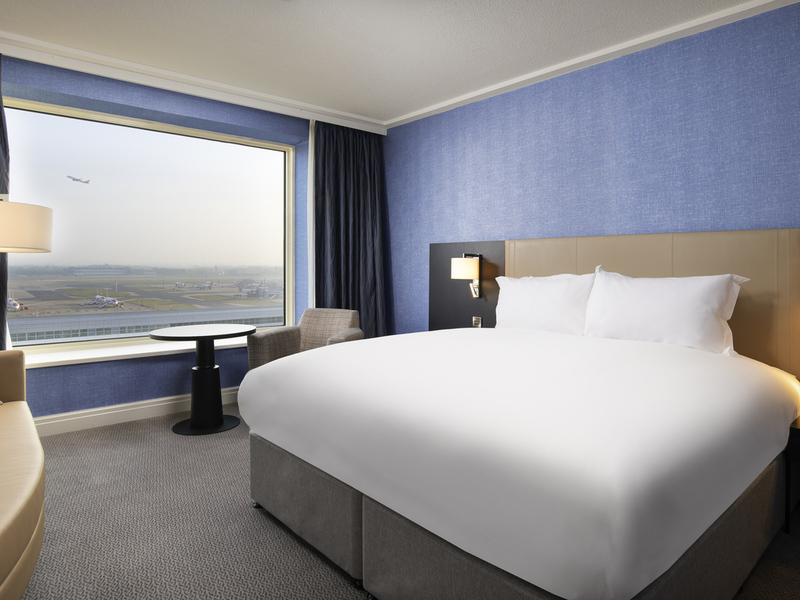 Experience Sofitel London Gatwick - directly linked to Gatwick Airport's North Terminal via a covered link bridge. Let us arrange transportation to London attractions or to Brighton with its famous "Lanes" shopping district and Royal Pavilion.